If you’ve driven through any of the rail crossings along the new commuter line to the airport, you’ve likely noticed flaggers, wearing reflective vests stationed at each crossing. You may have also noticied an occasional crossing arm malfunctioning. The Public Utilities Commission is requiring flaggers be stationed at each crossing around the clock, to help direct traffic in the event of a signal malfunction. That requirement will remain in effect until the transportation agency’s new, first of its kind Positive Train Control system has been certified. RTD spokesman Nate Currey said there were some malfunctions with the new system’s operating software early on, but most have been resolved. Denver7 found there is still an occasional bug that needs to be ironed out. At 40th and York Street, one of the crossing arms partially descended and then stopped and the crossing signals activated, without a train approaching, multiple times on Wednesday. 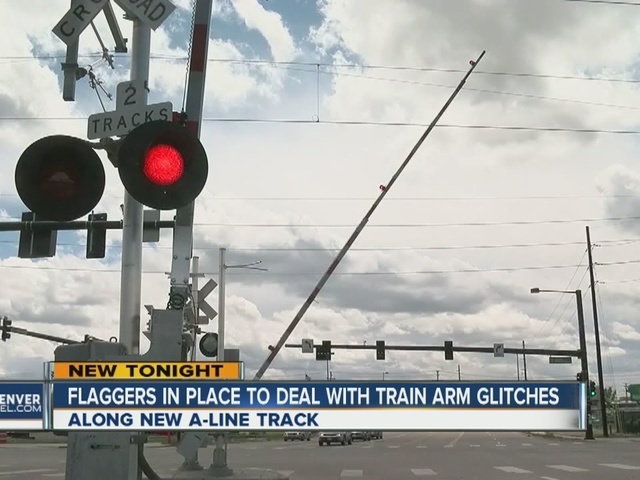 A “Go Team” consisting of a railroad signal technician and a traffic signal technician made a quick fix, telling Denver7 that the problem was more mechanical in nature. Currey said Positive Train Control is more high tech than the existing Active Train Control, which uses an electric current in the tracks and the approaching train’s own axles to complete a circuit, which then activates crossing arms, flashing lights and warning bells. He said Positive Train Control will do much more. Currey said commuter train computers will communicate, via wireless technology, with the train control center. He says the feds are mandating Positive Train Control for all railroads and rail agencies, but they’ve pushed the deadline back until 2019. “We’re the first system in the U.S. to build (PTC) from the ground up,” Currey said. The occasional bugs at 40th and York are frustrating for some motorists. “It’s just made (getting through this) intersection a lot more hectic,” said Joey Chase. “It seems pretty inconsistent, whether or not the crossing arms work,” said Emily Catbagan. 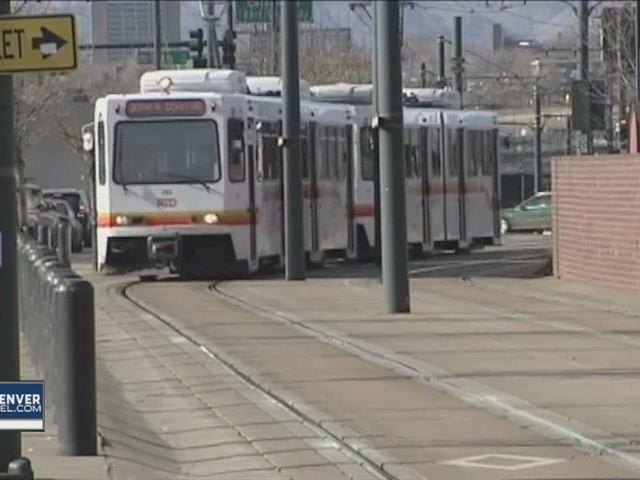 Currey said RTD anticipates that the new system will be certified within 60 days. Until that happens, the flaggers will remain. The PUC said flaggers are required to have direct communication with the commuter rail control center. Currey also said that RTD is not bearing the cost of the flaggers. He said the private partnership is picking up the tab as part of their contract.